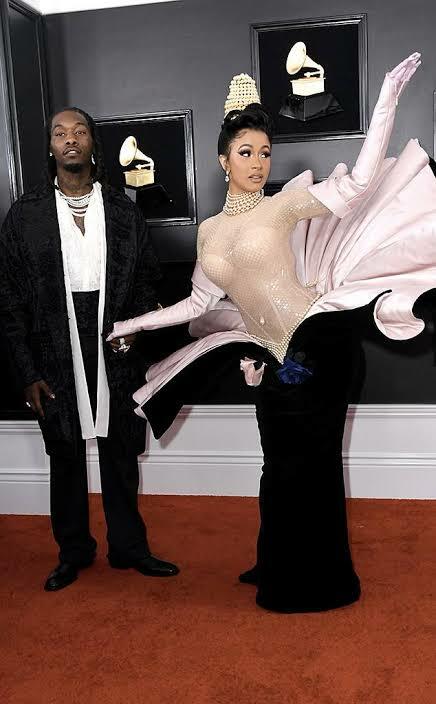 If there was any question about Cardi B and Offset's current relationship status, the superstar couple put any doubts to rest when they appeared on the Grammys red carpet side-by-side, bringing plenty of PDA with them to make a point. 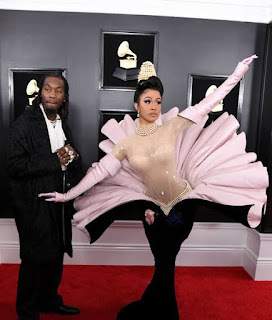 Their appearance on the red carpet marked their first official appearance as a unit since Cardi announced a potential split between the married couple. 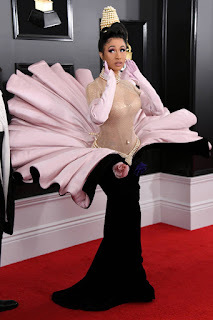 Fashion-wise, Cardi B decided to make a statement with a tribute to a design first created by Thierry Mugler, crafted with an extravagant design that frames Cardi as a flower blooming from out of her dress. 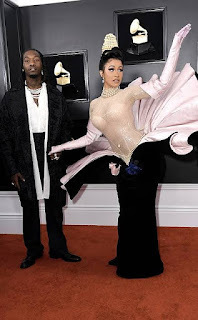 While Migos weren't nominees in any categories this time around, Offset was in attendance to support his wife who was up for five total awards, including Album of The Year, Record Of The Year & Rap Performance Of The Year.